"We pitched that movie. I pitched it to the studio. And they said yes." It's here - one of the best movies of the year. 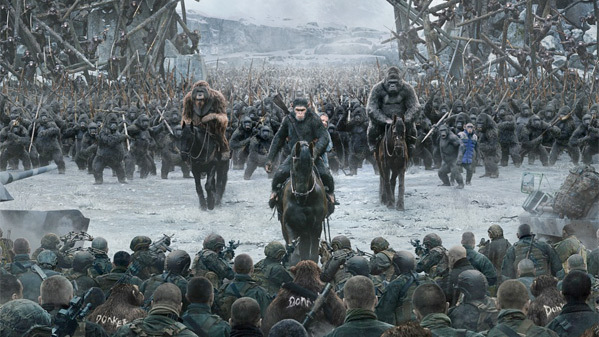 War for the Planet of the Apes is now playing in theaters, and it's a masterpiece. I've seen it twice already and it gets better on the second viewing. Andy Serkis is extraordinary as Caesar, concluding this sci-fi trilogy with one of the best performances you'll see in any movie this year. 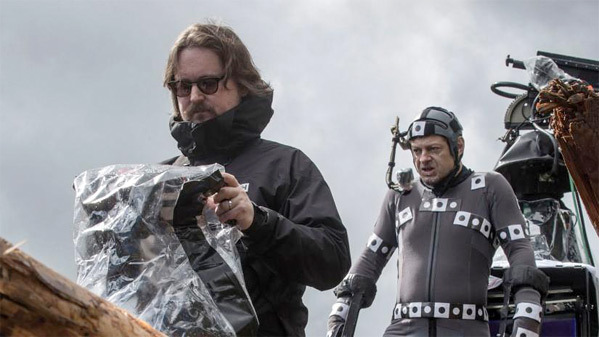 War for the Planet of the Apes and the film before it, Dawn of the Planet of the Apes, were both directed by Matt Reeves. Reeves broke in directing Cloverfield, and followed that up with a remake of Let the Right One In titled Let Me In. I was anxious to talk with him for this movie, it was one of my most anticipated of the year and surpassed all expectations. I was able to catch up with Matt briefly on his press tour and chat about making these movies. I first met Matt Reeves years ago when he was promoting Let Me In back in 2010. I initially interviewed him in Toronto about the film, and then we recorded a podcast with him as the guest. Reeves has come a long way since then, delivering two outstanding Planet of the Apes movies, which is why it's so exciting to catch up with him again now, at the end of this long journey. As usual, I could've kept talking with him for hours, but the interview was cut short just after a few questions. I'm still glad I could meet up with him for a quick chat, above all to tell him how much I loved this final film and how much I adore him as a director. Yes, I admit it, but I'm happy to say he deserves the praise. War for the Planet of the Apes is indeed a masterpiece. Did you encounter a lot of pushback from the studio trying to make this movie the way you wanted to make it? It seems so challenging to typical Hollywood expectations, yet you still could do exactly what you wanted. How did that work? Matt Reeves: I have to say I was incredibly fortunate… Both of these movies are the movies I wanted to make, flaws and all. My fear in doing a blockbuster, which I had never done before… Cloverfield was really an independent movie that we made through Paramount. And it was a lower budget movie. We made it in this crazy, very fast way. And I had resisted getting involved in blockbusters because I worried that there would be some kind of Faustian bargain. Right? That they would be saying, well you can do a bit of what you want to do, but then you really have to do what we want to do. And my problem with that is that I'm a very emotional filmmaker. I do everything based on my emotional compass, like I know where the camera goes based on how it feels to me. And I know how to talk to the actors based on how it feels to me. And so if I can't relate to the story or what it's about, I can't really do it. When they first came to me on Dawn [of the Planet of the Apes] they had an outline for something, because they had reached an impasse with Rupert [Wyatt] who didn't want to do the movie. And they had spent a year doing that. So then they put together this other outline, which was not Rupert's outline. And they said, this is what we propose we're going to do. And I was excited to meet with them because I loved what Rupert had done. But I read the outline and I said, "Oh, this is not for me." And I was thinking this is going to be another time that I'm going to say no. Because I had said no every time I'd ever been approached about a franchise. And they were like "Wait, why are you saying no? You said you love this world." And I said, "Well yeah, but that's not the story I want to tell." And they said, "Well, but what story would you tell?" And I said, "Well I don't want to do that, because I'm going to tell you the story I want and you're going to try to give me some percentage [of that]. And I don't want to do it that way." And they said, "Look just tell us the story." So I took a week and I met with [producer] Dylan Clark, who – actually we had met because of another project, another franchise that he offered me, but I noticed a poster on his wall. And it was Planet of the Apes. And I said, "oh God, I was obsessed with Planet of the Apes." At the time they were making the movie with Rupert. And I said, how is that going? And he said, "Oh it's really great." And we had this connection about Planet of the Apes, because his grandfather was involved in the television series. He was head of physical production at Fox TV when they did it. And so he'd been obsessed since he was a kid. And so when Rupert fell out, he said "you know, I had this meeting with Matt. We should meet him." And I had meetings with Fox about other movies. And none of them I felt I had the way in emotionally. So I spent a week figuring out what I would do and then Dylan's like "let's go in," and Peter Chernin called and we went in. I thought it was going to be one of these things where at the end they make some kind of bad bargain that I was going to have to decline. And amazingly, [producer] Emma Watts said to me, she goes: "That sounds great. Are you in?" And I was like, "what do you mean?" She goes, "Do you want to do it?" And I said, "well let me just be clear on this, you're going to let me make that movie?" And she said, "yeah, I'm going to let you make that movie." And I was stunned, because they didn't give me what I had every other time when I was doing a blockbuster meeting, which was the opportunity to say no. 'Cause how do I say no when you're telling me you'll do the story I want do. And I said, "okay, so what's the catch? There has to be some other catch." And they said, well, the catch is that we've spent a year and that movie we were talking about with Rupert we're not making, we're willing to make this movie but you have to make it on the same release schedule. And I was like, wow, I've never done performance capture, I don't know if I can do that. But I'll try. And so I jumped into it because I thought - well, when is it, if I'm ever going to try to make a blockbuster film, when is it going to align so much with my sensibilities? I not only loved [Apes] as a kid, but there was something very personal to me. 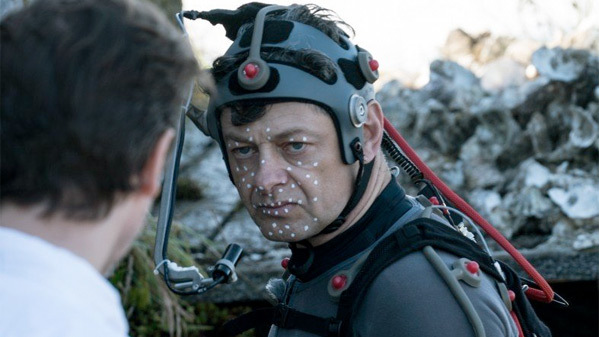 When I saw Rise and Andy [Serkis], there's that moment where he says "No! ", that moment really resonated with me about being a father. My son, when I saw the movie, was one and just learning how to speak. And Andy played the character in a way that so connected to me as a father looking at my son. You can see the intelligence behind his eyes and then that emotional kind of impulse that came when the words finally, it's like he'd been waiting to say "no" for a year. That's the way it was with my son. So I was like wow, not only do I love this world, but this is going to be a way to explore the way in which we are animals. And to explore our nature. And I thought wow, that's a very special subject for a summer film. To be able to hold a mirror up to ourselves by looking into these faces of these photo-real apes. So I said yes. And we made it - it was very challenging for me. Because the time crunch was such that – there was a point at which I was working seven days a week for many, many months on end. It was very intense. And at the end of this, the amazing thing was, any time we would talk about things and they might propose something that was quite significantly different from what the story was, I said, hey, you guys told me we could make this story. That's why I'm here. And in each case they backed off and let us tell the story. So Dawn, for whatever flaws are in there, it's not because I had to make any studio compromises. It's just because that's what we could do in the amount of time that we had. And what I felt there was an opportunity to do in War was push things further. I wanted to do an Ape point-of-view movie. I wanted to do a war movie about the question of empathy. I felt that there was a chance to – I wanted to push it into the realm of the mythic. To have it be not only a war movie, but like a Western and also a revenge Western. Like a Clint Eastwood movie. And then also ultimately like a Biblical epic. So all of the stuff they asked me, they said, "well, could we put you on the same schedule that you did last time because it means we could have this movie out not this summer but last summer?" And I said no. I said, because last time I knew what the story was. I came into you, you said what's the story, I told you the story and that's what we did. So this time I'm exhausted. I have no clue what the story is yet. So [screenwriter] Mark Bomback and I, we actually took the time to write a proper screenplay. And we watched movies for inspiration. Then we had this period which everyone imagines Hollywood writers get where we watched a movie every day and we were just going through this process of trying to figure out how to take Caesar and keep him coming out of the last movie, but make this movie unique and make it its own story. And I saw an opportunity to tell a story about Caesar that we hadn't told yet. Because the strength of his story up until then was – as an outsider to both species, he had the capacity for empathy for both [humans and apes]. And that made him a unique bridge. He was the one possibility for peace. But a peace that we know never comes because it doesn't become Planet of Humans and the Apes, it becomes Planet of the Apes. We know the end of the story. So I thought what would be great is he would be so haunted by having had to kill Koba, because "ape not kill ape". That was one of his tenants. These are the values he's trying to instill and he is the one who crosses it. And he would be thinking, this is a war that maybe could have been averted. But I couldn't see what was going on inside of him. For all of the empathy he has, he couldn't walk inside Koba's shoes. And I thought this could be the movie where the extremity of war could push him to a place where he could walk inside Koba's shoes. Where we would wound him so deeply that for the first time he was going to lose empathy and he would be filled with hatred and revenge. And so that was the ambition. We pitched that movie. I pitched it to the studio. And they said yes. And the amazing thing is… And again, these are the only two experiences I've had making a blockbuster movie. And I always worried about compromise and not being able to have your perspective come through, which is the most important thing to me in a movie. And the amazing thing is the script that we wrote is the movie that you're watching. 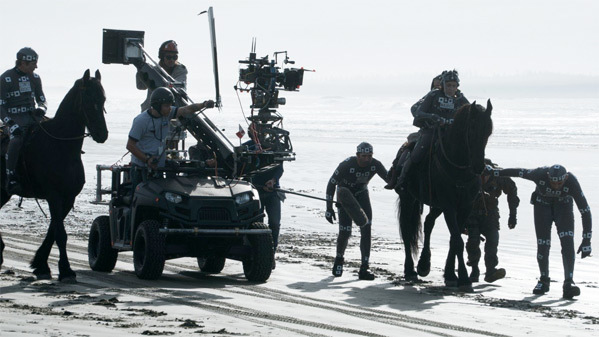 There are of course always – we drop scenes, we refine things, things improved. There were contributions from the actors that were brilliant. I mean, all of that kind of stuff, we made a movie, but we made this movie. There weren't 20 screenwriters who touched our script. It’s – we wrote the script. I made that movie. And here it is. I feel privileged, because, I don't know, I think that's not the case often. I know that Fox has been doing a bit of it recently. I think that [James] Mangold, Logan is very much the movie he wanted to make. Right? So there is an era right now at Fox where on some of these movies they're taking a chance. And they definitely took a chance on this. They let me make this movie. They saw that we had success with Dawn. I think that was emboldening to them and to me. Because for all the things I was proud of in Dawn, I felt I could go further. I wanted to push this film to be more ambitious in many ways. And I hope we were successful. I'm sure! You kind of touched upon two of my other questions. First – War is told from the perspective of the Apes this time, which is fascinating and very bold. And also – had you envisioned the whole arc for Caesar and the entire trilogy when you first got involved? Matt: No. The answer is no. And what's interesting is that what I saw — Look, each of these movies is different. And I find that really exciting, right? I mean, even these films are obviously very different. It's not like a remake or a reboot in the sense that you're doing the same story but with different actors. These three stories have not been told as part of the Planet of the Apes series that came before. And in fact, the Planet of the Apes series serves as a trajectory, right. It means we know the ending. And because we know the ending, we get to tell the story not about what happens, because we know what happens. But how it happens. And so that story is a more intimate story. It's a story very much about character and about point-of-view and really about motivation. And it's an opportunity to hold a mirror up to human nature. When we're looking at the apes, we're not looking at apes. We're looking at ourselves. Caesar is the most human character in any of these films. And that was true since Rise. So when I came into Dawn, Caesar was an important character, but I would almost say that he wasn't quite the main character. He was a main character, but it wasn’t weighted toward his story. And that's part of what I pushed. I wanted to see the world that the apes created. I wanted to see that civilization. I wanted it to be like a western as well, like a western where these two groups were on this one parcel of land and the question was, would they be able to avoid violence? And because we knew the ending of the story, we know they don't. So it becomes an anatomy of conflict, an anatomy of violence. And I wanted that story to play out most prominently through Caesar's character. And that was the big thing that I pushed for. And that's what my story was. And they let me tell it. On this one, now we can do the thing that I think this franchise has the potential for doing, but it's not quite done yet, which is to tell the entire story from his perspective. And that, for a war movie, seemed like a particularly potent idea if we could achieve it, which was that if you make the main character go through something emotionally that the audience travels along with him on, then Caesar starts for the first time to lose his empathy. He starts to want revenge. And because he wants revenge, the audience starts to want revenge. But this is a war movie and it's not about the idea of revenge as a concept that is okay. Right? It's about the idea that when he gets to where he's going, he's going to be confronted with a character who you're expecting to be a monster who's done monstrous things, but actually for reasons that from his perspective are valid. And the idea of us being able to see what's going on with the "other" is one of the key concepts really in a war movie is to really look at where the source of brutality comes from. When you're able to look across at another person or another population, animals, and not see their lives as being connected to yours, not seeing them as being as valuable as yours, these are the lies we tell ourselves as creatures in order to kill. And I think that if we're going to do that by doing point of view, by taking you on that journey where suddenly you get to the end of a revenge story only to not want revenge, that is a particular opportunity that I thought we had a chance to do here. Matt: Yeah. I mean, the thing about it is is that I wanted to challenge him as a leader. One of the things is that he rises to being a revolutionary from a very lowly status in Rise. And in Dawn, he's thrust into a position where he has to change from being a revolutionary to a leader in a difficult moment. He's in a precarious spot. In this one, he is leading this war that he didn't want to be a part of. And we wanted him to make mistakes. We wanted him to be wounded so deeply that – though on one hand he was thinking for his kind and for essentially what is his extended family that he was wounded so deeply that he starts taking a selfish act. He starts looking for personal revenge. And the idea of taking him along on that journey so that he was in danger of being consumed and destroyed the way that Koba was. Where his hatred would overtake his sense of leadership. Then to see the essence of the power of his nature that he can find a way to reconcile that and to transcend it and to come out the other end, and there, by doing that would be like a Biblical epic. This was the test that the passing of, which makes him the seminal figure for all ape history, and would spark – I guess in retrospect by the apes of the future, maybe given by the Lawgiver – almost a religious idea. The idea is you see these events and they are very real world presented, as far as the science fiction kind of fantasy can go. And that you can look back and sort of say, if it were not for him, we would not be here. That he was like a god. And so it was this idea of how myth-building is made. Because I knew about the Lawgiver and this whole idea and I thought wow, it'd be great to draw this Biblical parallel, this idea of explaining the events of our origins in a kind of mythological way. And that seemed like a really cool thing to be able to do which was, again, about how he was and as he's shown in the story – a flawed, but amazing hero. And the way that any hero is flawed. I mean, our nature is flawed. And so if you show someone who is just heroic and you don't show their struggles, the heroism isn't very powerful. And he's a great leader because you see him grappling with his darker instincts and somehow finding a way to fight through it and to come back whole again and think about the greater good. And that's why he to me is a heroic character. Yeah, of course, I agree. Thank you to Matt Reeves for his time and to 20th Century Fox & Just Publicity for arranging. Matt Reeves' War for the Planet of the Apes is now playing in theaters everywhere. It's a masterpiece, one of the best movies of the year. For more from Reeves, you can follow him on Twitter @mattreevesLA. For more on the movies, follow @ApesMovies. Go see this movie, it's definitely worth watching on the biggest screen.